I'm definitely a fan of those slow cooker meals where you just dump everything into the slow cooker, set it, leave, and come back to deliciousness. But I'd also always heard if you browned the meat first, it'd bring an additional deepness and complexity to the flavor profile. Well, only one way to find out - experimentation! I went ahead and browned the beef before placing it into the slow cooker. And then, since I already had a pot out, I figured I might as well cook up the seasonings too. Then, into the slow cooker it all goes! However, instead of putting everything into the slow cooker like usual, I was a bit concerned the eggplant would get too mushy, so I added it later. 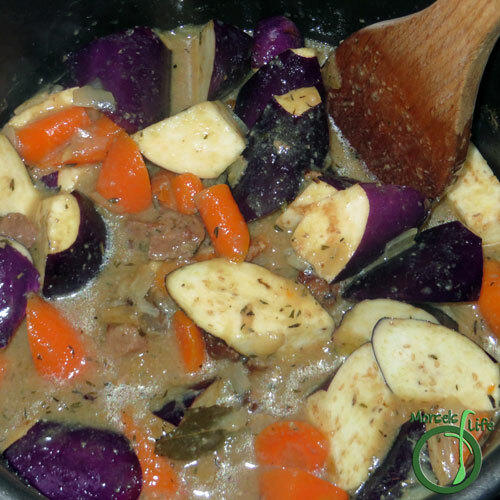 Would I make this slow cooker beef eggplant stew this way again? Maybe, but not if I'm looking for a slow cooker recipe. While the flavor of this dish significantly improved compared to my usual dump, set, and return method, I'm still a fan of its simplicity. I might make this recipe again if I've got more time (and planned ahead). To modify this dish for my usual dump, set, and eat method, I'd mix the flour with stock first, and then into the pot it all goes! 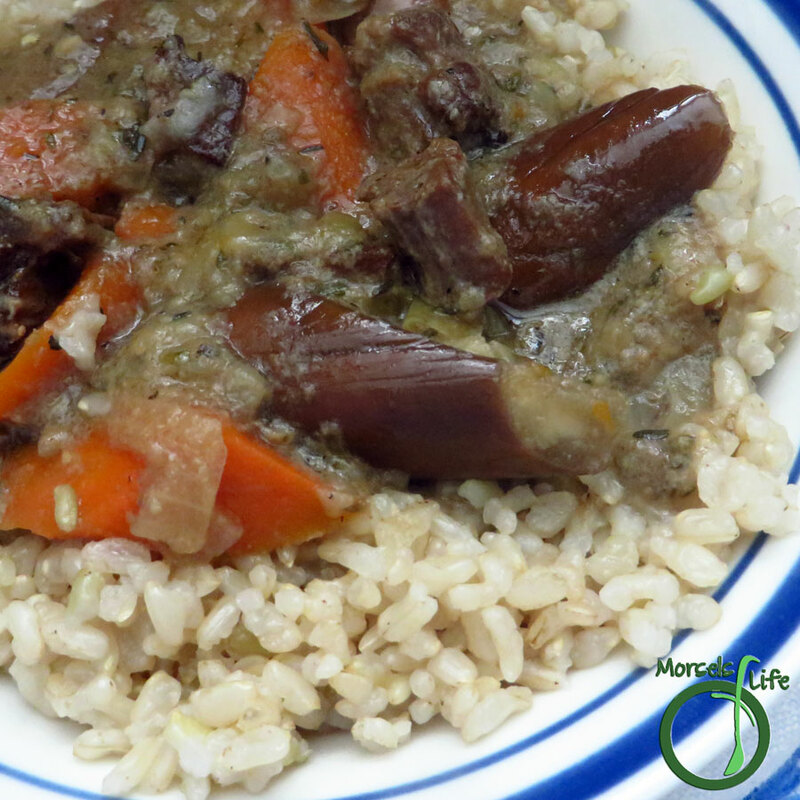 Out comes a richly flavorful, slow cooker beef eggplant stew! 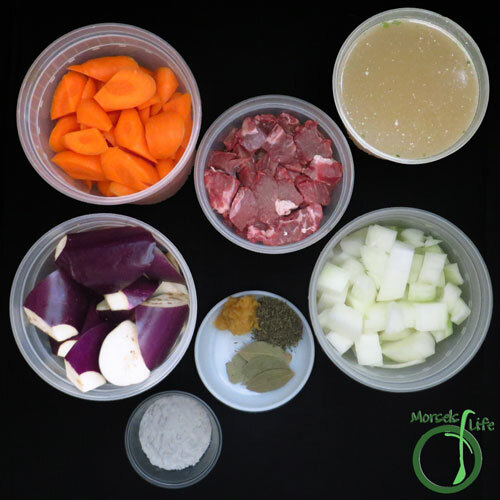 What about you - do you prefer browning your meats before using a slow cooker or throwing everything in at once? 2. 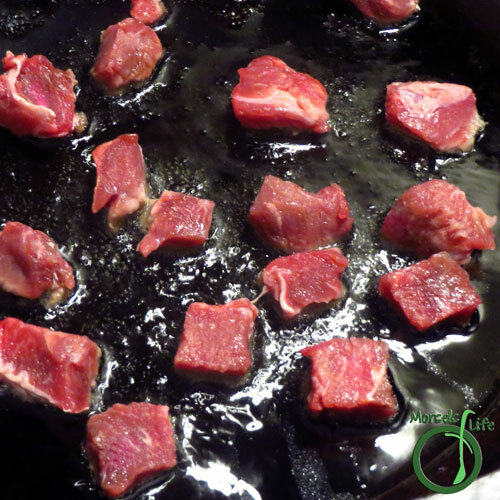 (optional) Brown beef in a bit of oil, then transfer to slow cooker. 3. (optional) Brown onions in same pot used to brown beef. 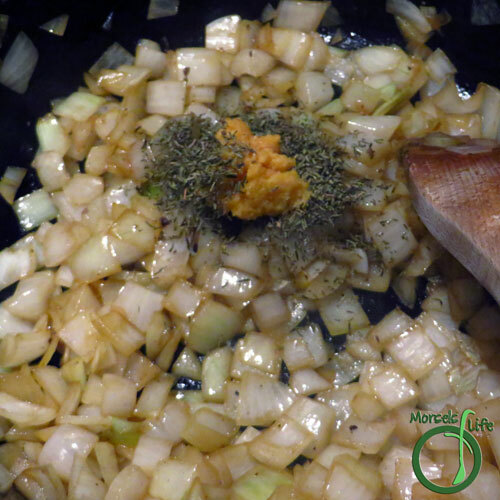 Add in garlic and thyme, then transfer to slow cooker. 4. 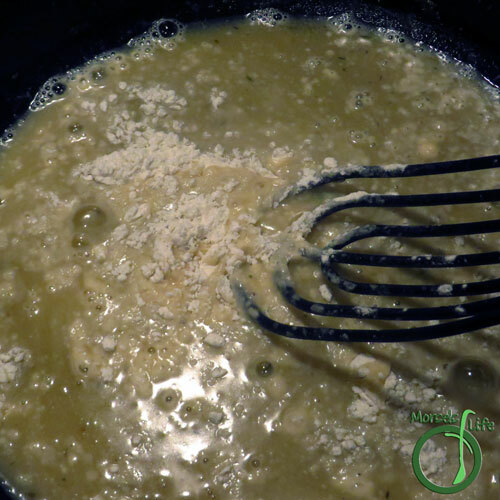 Pour stock into same pot, and mix in flour. 6. Stir in eggplant about 1-2 hours before mealtime (if not added in Step 5). 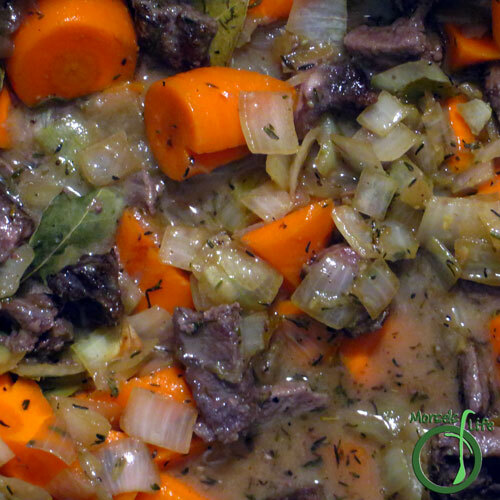 Continue to cook in slow cooker until mealtime. We love eggplant. Thanks for linking up to Simply Natural Saturdays. mmmm! SIGN ME UPPPP!! 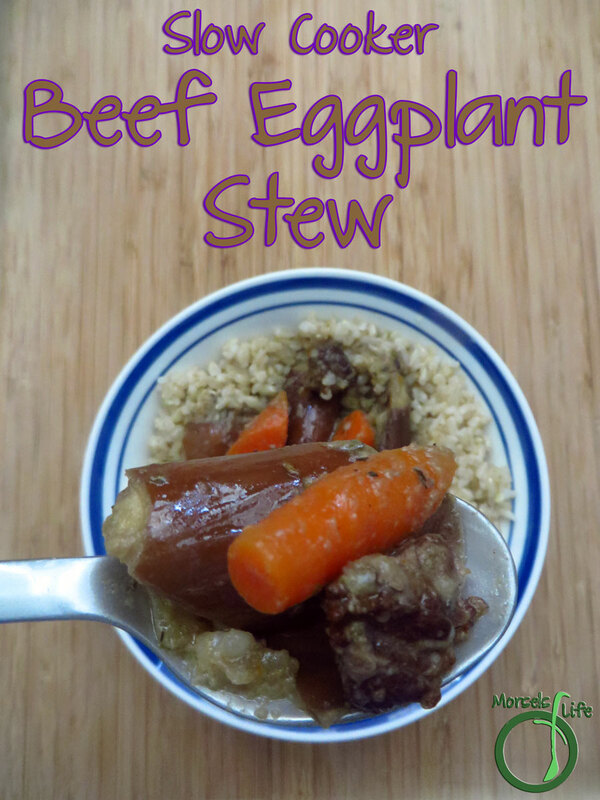 Love slow cooker anything, makes the meat SO TENDER! Hi CJ - Thanks so much for sharing with the Let's Get Real party. 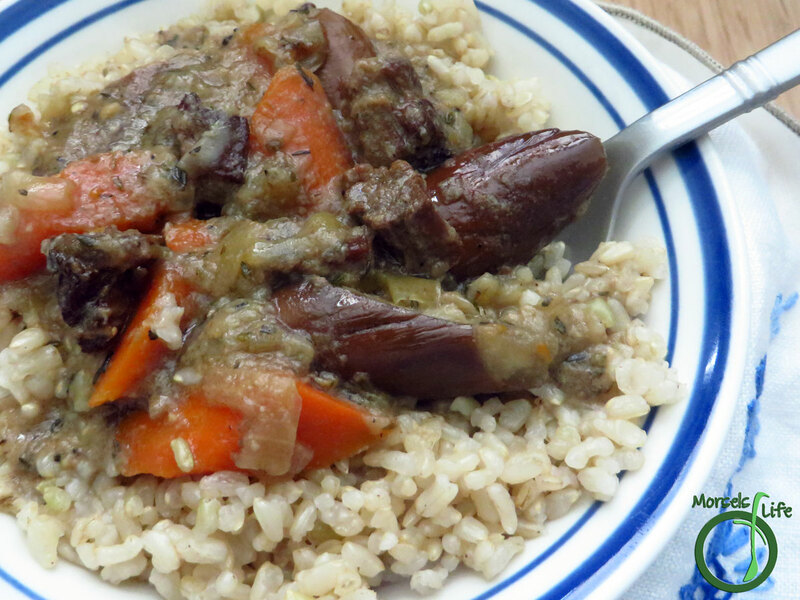 I've never used eggplant in stew before. I have to try that! Thanks for bringing this to #SaucySaturdays. I like to brown the meat before it goes into the crockpot. I've never tried eggplant in a stew and will try this on the stovetop instead.